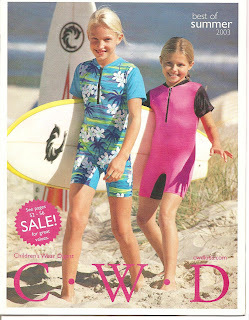 Back around 1995 or so, when my first two sons were babies, you had a cute little girl model. She was probably around 7. She modeled a lot of your clothing. At first she had her two top front teeth out, and she still appeared in your catalogs for a few more seasons. I always wondered what happened to her. Over the years, I still remember her as one of the sweetest looking and cutest models you used. Yes, I've been ordering from CWD for almost 15 years. My youngest children still wear CWD.